It might seem a bit early to be talking about the Chelsea Flower Show, but the designers and exhibitors will by now be counting down the weeks and making sure everything’s in place ready for the build up. By the time the show opens on 20th May, each garden will have been in the making for well over a year. 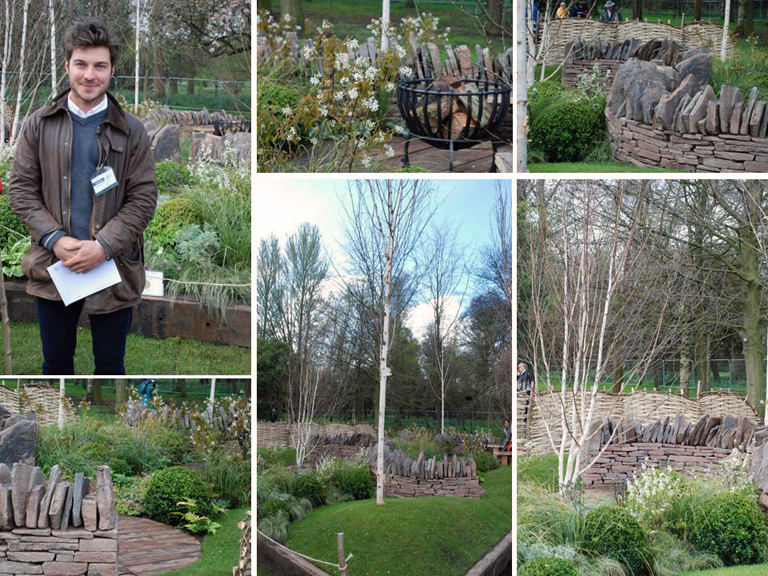 I met Harry Rich at the RHS Cardiff Flower Show where he won Gold and Best in Show for his Naturalistic Garden. He and his brother also won Gold for their Artisan Garden at Chelsea Flower Show last year so I’m looking forward to seeing their first garden on Main Avenue this year. This garden acts as a metaphor for the effects of war on the human body and spirit and our capacity to recover and heal. Charlotte is writing a diary about the creation of the garden if you want to learn some more (see link below). This garden represents the process that servicemen and women go through on the road to recovery and is designed to support the charity Help For Heroes. I love the structure of this design! I love a bit of topiary and the sketch of this garden which I can imagine in the flesh already! This garden takes the concept of a room outside to another level. Outdoor fabrics and photo wraps will literally create a lounge outside. I look forward to sharing my photos of these gardens when they come to life but I hope you’ve enjoyed this small preview. Which gardens are you most looking forward to seeing at the show?